Affinity Trust has a strong reputation for creating innovative projects offering adults with learning disabilities the opportunity to enhance life skills and gain work placements. Located on Englefield Estate, near Reading, and managed by Affinity Trust, Englefield Garden Centre is the home of such a project. 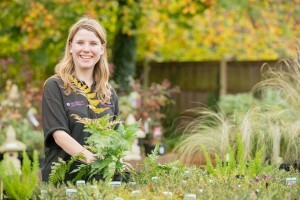 Selling over 65,000 plants a year, Englefield is not only a thriving garden centre but also runs a horticultural therapy programme for the people we support. The programme engages participants in horticultural activities that promote improved health and wellbeing, increased confidence and enhanced practical and social skills. The centre liaises closely with our support teams to further develop voluntary placements, work experience and paid employment. The people we support take on a range of tasks, including the development of the centre’s plants and helping the garden centre meet the demands of an increasing customer base. For more information about Englefield Garden Centre visit their website.